Through the Choose Tap education program, staff and students can actively learn about the benefits of drinking tap water as part of a healthy lifestyle and as an environmentally friendly alternative to bottled beverages. Our free Early Learning Centre Kits are available to early learning centres in the Yarra Valley Water service area. Developed for children aged 3 to 5 years, the kit is designed to help educators teach children about the health benefits of drinking tap water. The kit includes a storybook, sing-along CD, colouring-in sheets, stickers, posters, stationery, drink bottles, parent information and more. 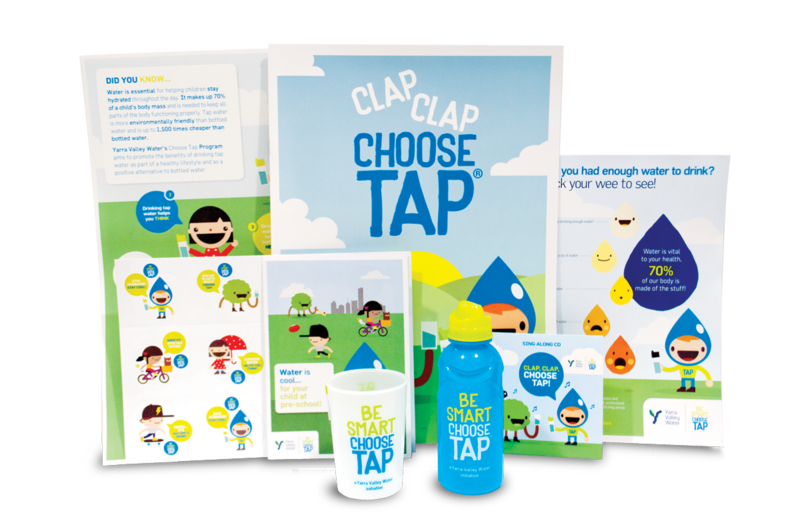 Our free Choose Tap classroom presentations are available to primary schools located within the Yarra Valley Water service area. Aimed at students from Prep to Year 6, our fun, engaging presentation will get students up and moving as they learn all about water. 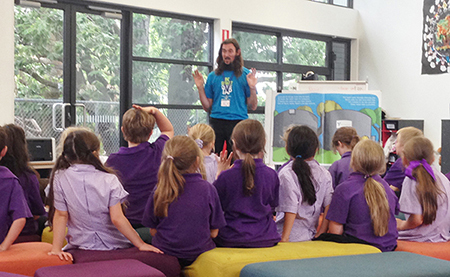 Students are first introduced to the story of “Smell-bourne” (Melbourne’s nickname in the 1880s) which covers the development of Melbourne’s sewerage system and closed catchment water supply through an interactive song and presentation. This is followed by a presentation of a tub containing the average amount of water in a child’s body to demonstrate the effects of dehydration on different parts of the body. The incursion concludes with an interactive rap song to recap the importance of hydration.